The study of the adaptation of international students to new learning conditions requires an integrated approach to the problems and the consideration of the psychological difficulties of adaptation in a close connection with the national mentality and national language picture of the world. Let us highlight the main aspects of adaptation; they include household adaptation, academic adaptation, and socio-cultural adaptation. Many scholars emphasize that the language component is included in all aspects of adaptation, having a significant impact on the formation of skills for an adequate communication behavior. Domestic adaptation implies the assimilation of the rules of everyday behavior adopted in society by foreigners, the formation of basic everyday skills; the adaptation to other climatic conditions and diet; the inclusion in the rhythms of time (punctuality, ability to manage time properly). The effectiveness of household adaptation is directly related to the active use of the language in its spoken variety in the sphere of everyday communication. Academic adaptation involves primarily adapting to the education system (to new requirements related to the content and volume of educational material, methods and forms of education, the system of knowledge control). A foreign student is faced with the need to master the rules of communication with teachers and to adhere to the academic distance adopted at the university, as well as the need to learn tolerant behavior in a multicultural educational group. The success of the academic adaptation of a foreign student is largely determined by overcoming the language barrier, mastering the language as a new language system, and level of proficiency in the educational, scientific, and professional fields. Sociocultural adaptation is manifested in the understanding and accepting typical social ethics of communication, mastering accepted rules of behavior, status and gender roles, recognizing the equal rights of nationalities and faiths, respecting the principle of tolerance, and respecting national traditions. The level of sociocultural adaptation as a whole is directly related to the peculiarities of verbal and non-verbal communicative behavior. Adequate verbal behavior is impossible without the assimilation of modern language norms and rules of speech behavior. Selection of the above aspects is appropriate for studying the dynamics of the adaptation process and the phased solution to the problems of international students related to it. However, it must be emphasized that the proposed differentiation is conditional since, in reality, these aspects are closely interrelated. Taking into account the ethnopsychological, linguistic, and cultural characteristics of international students makes it possible to facilitate and accelerate their adaptation to life in other countries. The process of adaptation is determined by many factors. 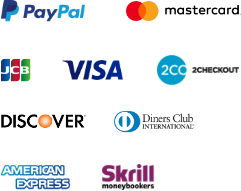 The most significant among them are the following: adaptation to the new sociocultural environment, the new education system and its requirements, the language of communication, the international composition of educational groups, other climatic conditions and the new time zone, the mode of motor activity, etc. Every international student who studies abroad inevitably faces a number of problems related to the new language, cultural, academic, and social environment. 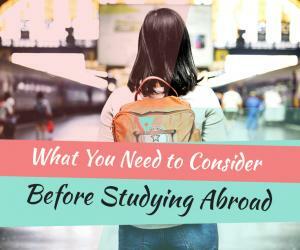 For a person who prefers to study abroad, money plays an important role. Accepting the problem is already half the battle. It often happens that when making a decision to study abroad, future international students are full of high hopes and leave their homeland with sweet dreams. However, when they come to the country of study, they face unexpected problems. Running into difficulties in using a foreign language is the most common problem among international students. Knowledge of a foreign language is directly related to the ability to adapt to the local culture, society, and, of course, to academic life. Students usually take tests to prove their ability to read, write, and speak a foreign language. Nevertheless, passing exams successfully does not guarantee that a student will be able to understand fluent speech, idioms, slang, and various accents. Due to language restrictions, it is often difficult for international students to understand their teachers fully, not to mention participating in discussions. The language problem also indirectly increases the workload of international students. This effect leads to academic problems. 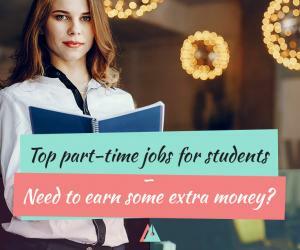 Exchange students have to work more when completing assignments or learning literature. It further exacerbates the problems caused by the amount of work that has fallen to students. They need to learn more than the indigenous people of the country of study and take care of themselves: buy and cook food, clothes, etc. Moreover, most students have never had so much responsibilities at home. The transition to a different education system and new approaches to learning are often a kind of shock to the student. For example, many students are not accustomed to such an active form of learning as collective work in the classroom. They are most likely accustomed to much more formal relationships with teachers and less likely to seek help from their mentors. International students must acquire not only good communication skills and fluency in a foreign language, both verbally and in writing but also get academic writing culture for writing academic works. In addition, foreign universities may have different standards related to homework, the timing of academic work, the average workload, and communication with the teacher. It is difficult for international students to cope with an academic load that exceeds their usual norm in their homeland. It should also be born in mind that the culture of education varies from country to country. For example, universities in some countries are more focused on classroom collaboration. International students themselves may lack knowledge of how and where to find information to fulfill their academic tasks. In addition to the need to get used to the new educational environment, learners must adapt to a different national culture at the same time, with the basics and nuances of which they are often not familiar with. Cultural shock includes a language problem. Students may find that despite their high grades for tests, they are not able to understand their peers who speak too fast or in slang. Because of this, there may be a feeling of isolation, which is especially heightened by being away from the family. Food consumption culture, local cuisine, quality and quantity of food also require adaptation. Another problem for international students is the lack or low level of social support, as well as homesickness. This is especially noticeable when exchange learners are left alone with themselves on holidays. While peers can go home for the holidays, international students are forced to stay in a dorm and spend time on empty campus. Such moments evoke feelings of loneliness and depression. In the total mass of students, international students feel a clear minority. It can be quite a difficult challenge, especially if in their homeland they have always ranked themselves among the majority. International students often make friendships with other students from their own country or with other foreigners, but they do not communicate very well with indigenous students. In this case, they may feel even more alien in the country of study. It has been proven that learners who can make friends with the local population can adapt to the new environment better and are more satisfied with their academic achievements. In general, coming to a foreign country, to a new social, linguistic, and academic environment, is like starting a new life. The beginner still needs to master such basic things as comfort, place to stay, and just friendliness. For many people, living in a foreign country can be a serious test in a difficult financial situation. An international student and his or her family at home may lack financial resources to cover all the expenses for studying abroad. International students are often not allowed to work off campus, and at the same time, they are not eligible for loans or other financial assistance that is available to students who are citizens of the country of study. Young people who study abroad, as a rule, are among the most talented learners in their own country. When they are no longer among the top students and are faced with language and academic problems, this fact can cause depressive moods. 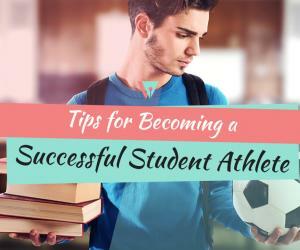 In addition, if the condition for obtaining scholarships or grants for training is excellent academic performance, students experience a lot of pressure due to the need to have top grades. All these problems lead to psychological discomfort. Under the pressure of the circumstances described, international students may experience sadness, anxiety, disappointment, loneliness, misunderstanding, and homesickness. In addition, psychosomatic symptoms such as headaches, general weakness, and sleep disturbance may occur. It is good if, even before coming to a new country, a future student will be able to establish contacts with services for working with international students on campus of his or her future university. Also, it is desirable to study the culture of the host country at home. In order to master conversational speech better, you need to participate in various social events (such as sports events and parties) as much as possible. It is necessary to take risks and participate in classroom discussions, do not hesitate to ask teachers questions. You can start with short and clear questions. The more the student will talk, the easier it will be to continue learning a foreign language. For emotional relaxation, psychologists advise learners to find time for a hobby. Anyway, in order to adapt to the new situation, you need to be patient and remember that it will take time. 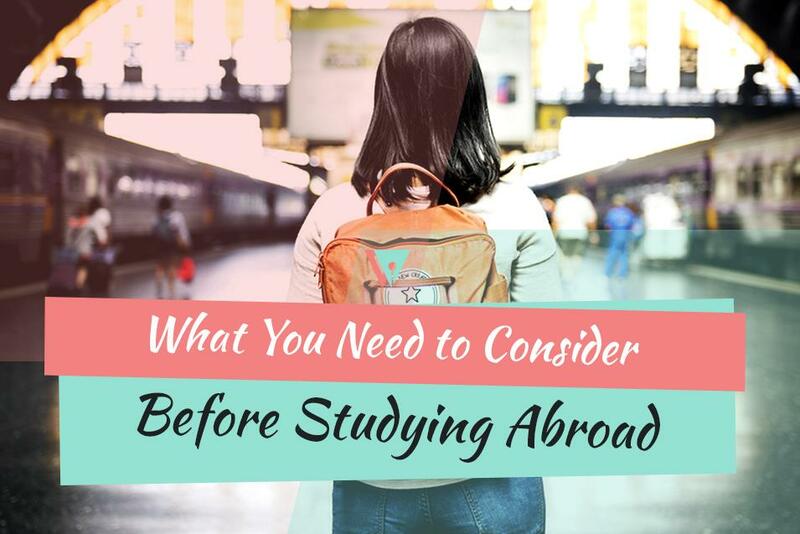 All international students initially have difficulties, but if you plan your study abroad taking into account possible problems, you work will certainly bear fruit.